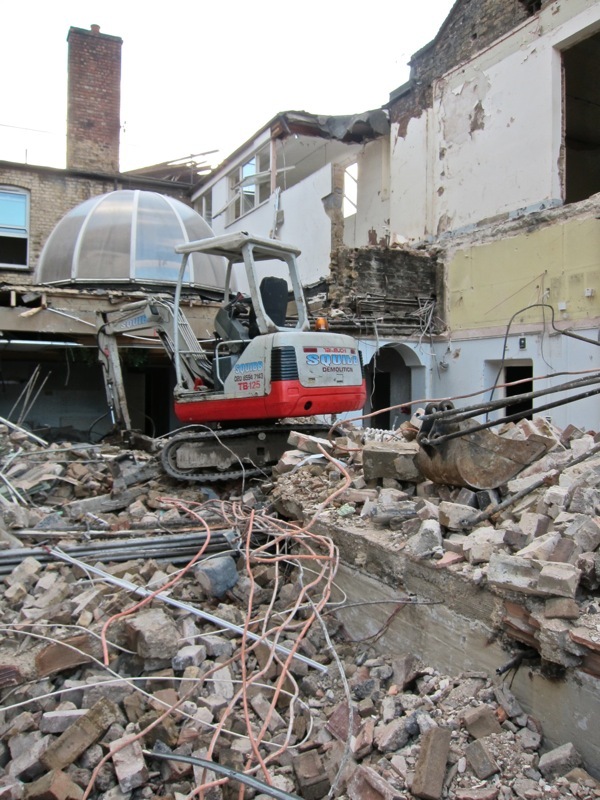 Last week, Peabody demolished the historic Mother Levy’s Nursing Home in Spitalfields – in arrogant disregard of the widespread public demand for it to be preserved. Today, I am republishing my profile of Tom Ridge as a salute to the valour he showed in leading such a magnificent campaign which culminated in a unanimous vote by Tower Hamlets Council to save this beautiful old building. Yet even this was not enough to succeed, and my feature is accompanied by Tom’s recent statement which is touching in its dignity and restraint at such an emotional time. 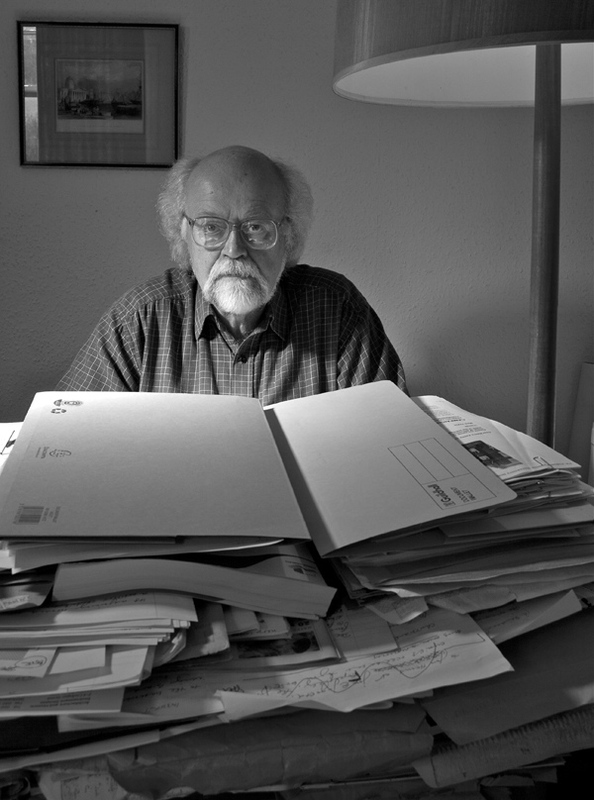 For over twenty years, historian Tom Ridge has been fighting selflessly to save significant buildings that tell the story of the East End. A noble warrior who has single-handedly pursued a relentless campaign, writing letter after letter – waging what he terms “an endless battle” – Tom’s latest combat has been to prevent the demolition of the former Jewish Maternity Hospital in Underwood Rd in Spitalfields. Beyond its obvious significance as part of the history of the Jewish East End, the edifice was also important as the last example of its kind in the country. Operating from 1911 until 1940, this pioneering institution was the personal mission of Alice Model who started and ran the hospital to help the sick among the poor and women at home with babies. 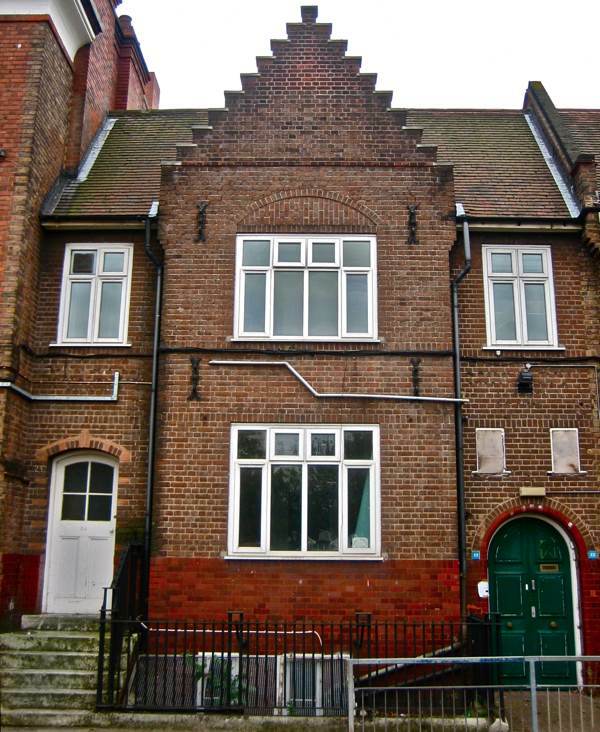 Popularly known as Mother Levy’s Nursing Home, it was the first organisation in this country to provide home helps and maternity nurses, and among the many generations of East Enders who came into the world within the walls of this dignified Arts & Crafts building were Alma Cogan, Arnold Wesker and Lionel Bart. In harsh contrast to these sentiments, the developers sent a Prior Notification of Demolition to Tower Hamlets Council Planning Department that same month. Obtaining this approval in advance of any public consultation meant that Peabody could demolish the buildings irrespective of what the people of the East End had to say, and without any assessment of the historical importance of the existing structure or the environmental impact of a new block upon this quiet corner of Spitalfields. Regrettably, this alarming set of circumstances is a familiar story for Tom Ridge, just the latest episode in a conflict in which for too long he has been a lone warrior, chasing bureaucrats around and becoming expert at deciphering their game of weasel words, as large organisations pursue their own interests at the expense of the culture of the East End. Occasionally, Tom will confess the weight of emotional responsibility he carries for his “failures” – those instances where he has lost the battle against developers and part of our history has gone forever – but it almost impossible to get him to disclose his successes. Yet we all owe Tom Ridge a debt of gratitude for those important facets of the East End that have survived thanks to his heroic campaigning. It was he who discovered that an old building by the canal had been used by Dr Barnardo and was responsible for saving it, and creating the Ragged School Museum there - “because there should be a museum of the East End in the East End.” It was he who led the successful campaign to save the Bancroft Rd Local History Library when the Council would have preferred to close it down and sell off the collection. It was he who prevented buildings being constructed upon the small public park at the heart of Bethnal Green, by ensuring it was listed as of historic importance. The Jewish Maternity Hospital in Underwood Rd. An elegant crow-stepped gabled building reminiscent of a streetscape by Vermeer. Although it had lost its diamond-paned leaded windows, it retained its original doors and ironwork. The Arts & Crafts style cottage was designed by John Myers in 1911. No amount of commemoration by Peabody will compensate for this shocking and needless destruction of a little building which meant so much to so many people. And as an affordable family home, it would have been a living memorial to a unique maternity hospital. This name and the remarkable history of the unique hospital run by women for women will live on in the history books about the East End, but as built evidence and a living memorial for future generations to understand and appreciate the Jewish East End, and the East End as an historic point of arrival for migrants from Europe and indeed the whole world, Mother Levy’s is dead. All the buildings at the former hospital are being demolished by Peabody, aided and abetted by officers in Tower Hamlets Council but against the unanimous wishes of its elected Councillors.All four hospital buildings on Underwood Road could and should have been adapted for residential use (with the utilitarian buildings at the back replaced by new homes). We began the campaign with this proposal but discovered that Peabody’s architects had already drawn up their plans for new buildings on the site of the former Jewish Maternity Hospital, which Peabody had purchased from Tower Hamlets Council in March 2011. It was at this point that Dr Sharman Kaddish, as director of Jewish Heritage UK, made her compromise proposal for the retention of the two cottages and their conversion to family homes. Our petition to Peabody was based on this proposal and signed by about 760 people, including Arnold Wesker and former MP Mildred Gordon and councillors from all four political groups on Tower Hamlets Council. Dozens of letters were written to Peabody’s Chief Executive, Stephen Howlett. They included letters from the chairs of the Jewish East End Celebration Society and the East London History Society, Cllr Rabina Khan, and Cllr Bill Turner, the secretary of SAVE Britain’s Heritage and Lord Janner of Braunstone QC. At the full council meeting on 29 November 2011, Cllr Judith Gardiner proposed the Labour group’s motion calling on the Mayor to negotiate with Peabody, and Peabody to spare the cottages. The motion noted that Peabody has a duty to optimise the amount of housing it provides but also to protect the borough’s heritage. Cllr Peter Golds, Leader of the Conservative group, spoke in support. Additionally, John Penrose MP, Minister for Tourism and Heritage recommended engagement between the Campaign, Council and Peabody for an amicable settlement to keep the two cottages. But Peabody was unmoved and, in demolishing the oldest and most attractive part of the former hospital, Peabody has committed the gross act of cultural vandalism which we all tried to prevent. Tower Hamlets Council has the highest housing target in London and unless it formally identifies all its unlisted buildings which are heritage assets, and insists on their retention and adaptation by developers and housing associations, the borough will go on losing historical buildings capable of re-use. It is said that the Council has a list of 600 planned building sites for new housing. Most of the 600 sites will have existing buildings and doubtless many of them are unlisted buildings of some architectural and/or historic interest. Although none of them are likely to have been loved as much as Mother Levy’s, her tragic death must signal a new start for Tower Hamlets. Had the 2008 Planning Statement for the redevelopment of the former hospital been made available for public comment, an altogether more transparent process may well have resulted in the retention and adaptation of the two cottages. Several years ago, Planning Statements for three redundant Tower Hamlets Council buildings were made available for public comment. As a matter of extreme urgency, all present and future council disposals must be subject to the same good practice. And as an integral part of this process, the Council must draw up a list of all unlisted heritage assets for retention and adaptation. 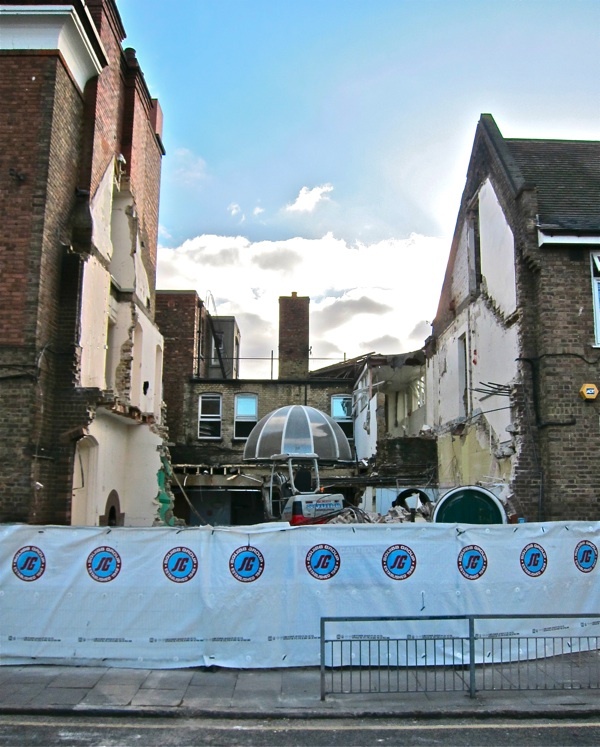 This is what became of the former Mother Levy’s Nursing Home where Alma Cogan, Lionel Bart, Arnold Wesker and many thousands of Jewish East Enders were born. i left a msg on the facebook page. i am really shocked. What a shameful story. Thank goodness for the likes of Tom Ridge, and his battling spirit. I’m so sorry this campaign was lost. We always look to the Second World War or to the idiotic urban planning schemes of the 60s and 70 s for this sort of rash, unthinking and soul-less destruction. But No! It still happens today, right beneath our noses, by greedy, heartless fools with no sense of heritage, history or continuity. It is a scandal, and a shameful act and it makes my blood boil. I can only echo Paul Bommer’s sentiments. This is crass, heartless, greedy, whatever claims to the contrary that Peabody makes on its website. Preserving a nation’s heritage is not, as some would have it, about living in the past but about being able to experience something of the past and, in so doing, broadening our understanding of not only our own stories but, more important perhaps, the stories of others. Peabody, it is clear, has no regard for these stories. This is awful! Many of members were born here. They are so few examples left of the “Jewish East End” left. I’m mortified. I think I was born there. Never mind about Lional Blair & Alma Cogan, my wife was born there and she is MOST annoyed at the demolition of this wonderful piece of our heritage ! This is what the world calls progress. The world has too many people who care nothing for history or culture or beauty. just discovered this most horrible vandalsim of mother levys nursing home. I was born there in aug 1937. So sorry that so much of the jewish east end has been eradicated and not even plaque for the Grand Palais, the unique Yiddish theatre. How can anyone bury such valuable history in a heap of rubble. My grandparents lived in the East End and my father was born in Whitechapel – is there no sense of heritage anymore? I have just come across this article as I was searching for my family roots. Mother Levis Nursing Home became a myth like story when I was a child, having been born there myself an it’s a real shame it no longer exists. I can’t say I’m surprised though, as vandalism in the building and property trades seem to be embedded in their haste to get an immediate profit, instead of proper planning and management where everyone can benefit. I was born at Mother Levy’s home July 3 1928. 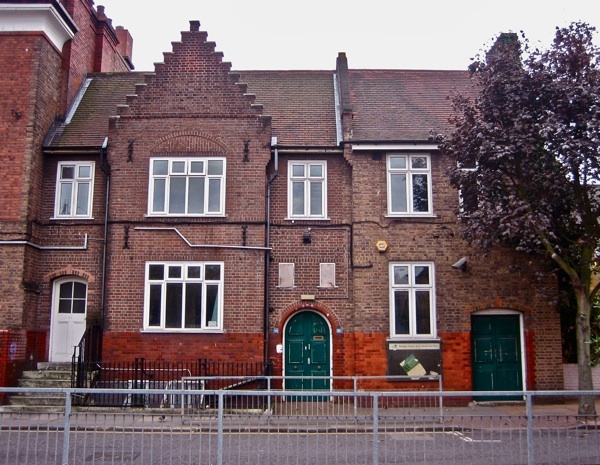 Education, broken by Second World War, at Stepney Jewish School. Would like to contact boys of that era. I was born In Mother Levy’s on 9 January 1938. So sad to see that it has now gone. Thanks for trying so hard Tom. Big hug from me. My brother and I were born at Mother Levys nursing home. I recall my mother telling us of the care and devotion given by the nurses and staff. When I lived in Perth Australia there was a building earmarked for demolition, after a massive campaign the facade was moved to another location at the top of a hill for all to see. Pity the same could not be done for Mother Levy’s.